Governor Greg Abbott today joined business leaders from across the state at the Texas Governor's Mansion to accept Site Selection Magazine’s 2017 Governor's Cup, an annual award that recognizes the top-performing states for business and job creation. 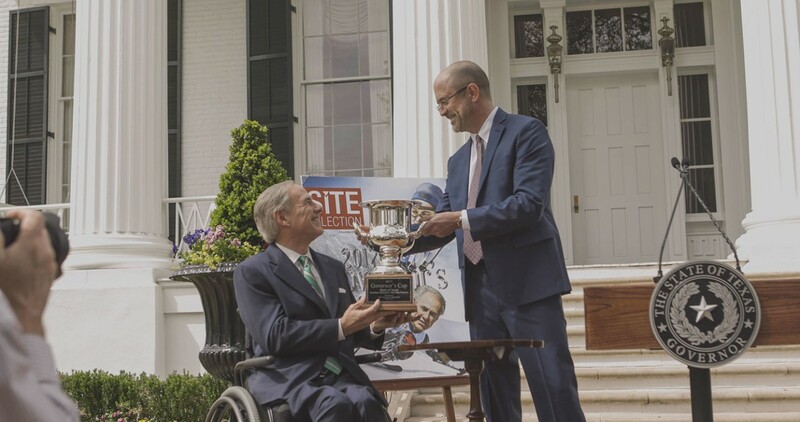 The 2017 Governor’s Cup is a record-breaking sixth in a row for Texas and the 14th overall win, more than any other state. Site Selection Magazine publishes information for expansion-planning decision-makers — CEOs, corporate real estate executives and facility planners, human resource managers and consultants to corporations. It has awarded the Governor’s Cup annually since 1978, based on new and expanded corporate facilities as tracked by the proprietary Conway Projects Database.